People read web pages differently than printed materials. 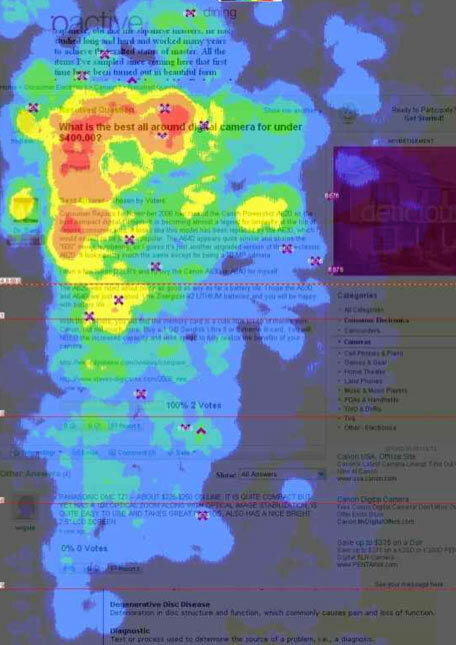 Most people find reading on-screen very hard on the eyes. Since reading on the web is 25 percent slower users scan the page until they find relevant information. Using these web page writing tips to make your content easier to read and increase user engagement. Typical writing for print starts with background information, educating the reader as they work their way down to the conclusion. Readers get the most important information quickly, without having to read the entire page. In a matter of seconds, readers will decide whether or not the page contains the information they are looking for. Readers can explore a topic to the depth that they choose without being forced to read through information they may consider irrelevant. If readers are interested in learning more, they can scroll for more information. Keep it short: short words, short sentences, short paragraphs, short pages. Avoid excessive introductory text: phrases like “welcome to this web page” is meaningless. Reduce content used in print materials when using it on your website. Break text up into easily readable “chunks” with clear, concise headings. Write meaningful titles and headings. Use one idea when writing each paragraph. Use plain language and avoid complex terms and art speak. Bold keywords to draw the reader’s eye to relevant information. Hyperlinks should be descriptive and explain the action. Don’t underline text:. Underlined text is perceived as a hyperlink. Success on the web is based on usability. People come to your site to see and read about your art and want to do it quickly. If a website is difficult to navigate and read or they can’t find your art, they’ll leave. As you develop content for each page of your site, consider what the objective or goal of each page is. This is where the call to action comes in. What do you want your reader to do once they have read your web page? sign up for your newsletter? Always be thinking of the users’ next step and make it easy for them to get there. ALWAYS provide a link to take visitors to the information. Users don’t mind scrolling if the information is coherent and formatted for scanning. For example, users prefer to scroll a lengthy news article on a single page rather than click links to read multiple pages. Do not simply write the news, instead ask questions, recommend, etc. In Conclusion: Following these web page writing tips will make your content scannable and increase user engagement. Remember to write the opposite way you would for print media and make your content easier to read by using lists and bolding keywords. Hi Kim…..it was very nice meeting you yesterday, and thanks for all your advice. Great to meet you too, Frank. You have lots of interesting ideas and a great project ahead of you. All the best!